There’s a new addition to the vegan food scene in the capital, as wagamama launch a 100% vegan menu today. Including brand new and re-imagined dishes, the new menu features pan Asian flavours that the company is known for, but entirely plant-based. Rob Neilan, Development Head Chef at wagamama Ireland said: “Dublin has always had a very exciting multi-cultural food scene with new unique restaurants and menus popping up across the city. “Veganism has been steadily growing in this city which is evident by movements like Veganuary, and we’re excited to get involved and expand the vegan offering in Dublin. “Our first ever dedicated vegan menu is the starting point to support a vegan lifestyle choice. When developing the menu, we wanted to eradicate the myth that meat free means taste free. Our new vegan menu offers four tasty starter dishes and seven delicious mains. There’s the newly crafted Kare Burosu Ramen; vitamin-rich vegetables in a curried broth, accompanied by shichimi coated silken tofu with a kick of chilli and a fresh coriander garnish. The spicy Yasai Samla Curry also features as a highlight, alongside the Yasai Steamed Gyoza and Itame rice noodle-based dish. Pick from all kinds of rice and noodle dishes, alongside fresh salads and shareable sides. There are also desserts, fresh juices, hot drinks, wine and sake, all 100% vegan friendly. 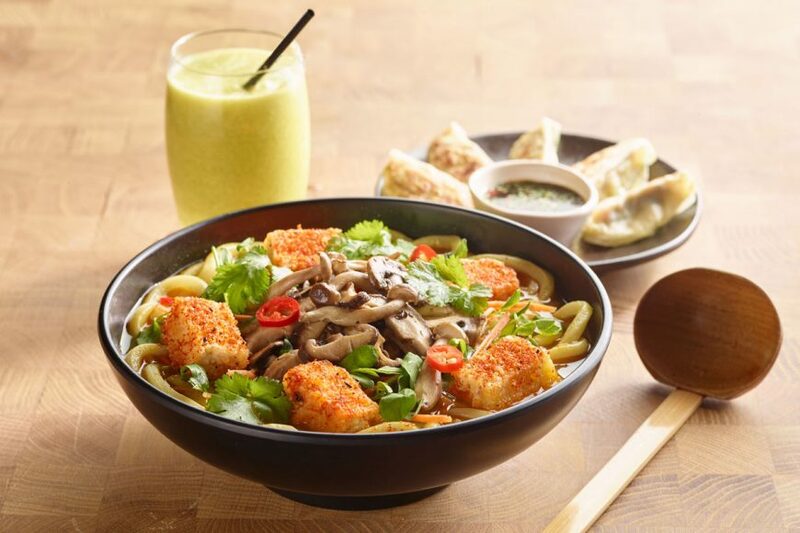 The new vegan menu is available across all three wagamama’s in the capital, on South King Street, in Dundrum Town Centre and in Blanchardstown Shopping Centre.